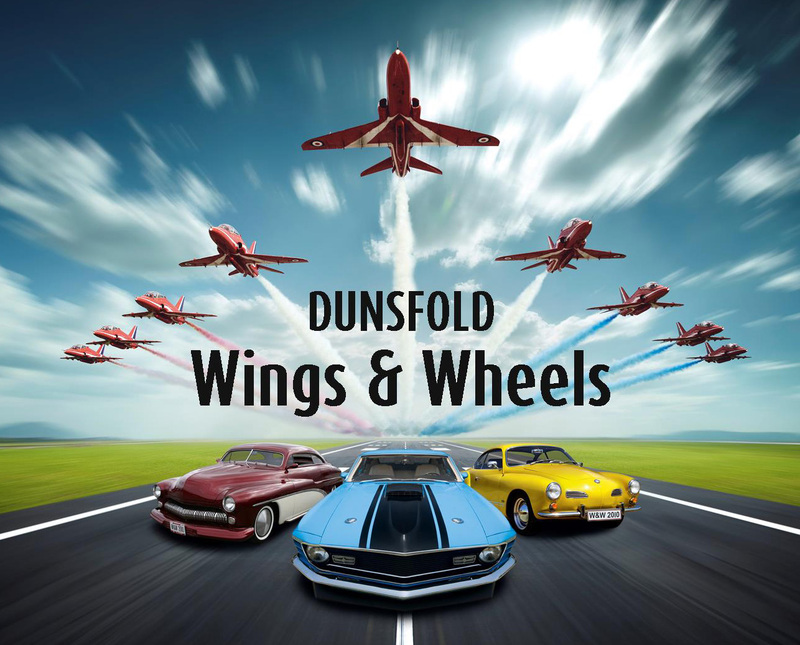 Firmly established as one of the UK’s most popular family days out, Dunsfold Wings & Wheels will be returning to the historic setting of Dunsfold Aerodrome near Guildford, Surrey on Bank Holiday weekend Saturday 29th & Sunday 30th August 2015 for its eleventh successive year and, with thanks to the organisers, we have one Family ticket (2 Adults and up to 3 children) up for grabs valid on any ONE of the two days. Wowing crowds of over 40,000 in 2014, the Show had an outstanding variety of dynamic aviation and motoring displays, iconic cars, shopping and arena attractions. Visitors to Dunsfold Aerodrome will be treated to a breathtaking 5 hour air display which should include; The RAF Red Arrows (Sat Only), RAF Battle of Britain Memorial Flight, the RAF Typhoon, RAF Hawk T2 Role Demo, RAF Chinook, RAF Tutor and the RAF Syncro 75 pair. Other aviation highlights include the Netherlands Air Force Historic Flight B-25 Mitchell, the Norwegian Air Force Historic Squadron’s MiG-15, The Blades and the mighty Avro Vulcan. You don’t need to be a petrolhead to delight in the ‘Wheels’ of the show. Supercars, classic and vintage icons put on an awe-inspiring display of power and speed on the Top Gear track in a 2 hour auto spectacular from Brooklands Museum. The Wheels Zone features interactive displays from clubs and a crowd line parade whilst the Stunt Zone squeals with the sound of two and four wheeled hair-raising performances. The 32 acre public arena is bursting with a huge variety of interactive attractions containing all you need for a great family day out. The show arena also boasts laser quest, paintballing, kit-plane demonstrations, aviation and motoring simulators, military outlets and displays, static aircraft, fairground, emergency services demonstration and over 80 retail outlets selling a wide variety of products and gifts. As the last plane touches down the party starts across the arena with a mix of musical evening entertainment. Swing, big band and jazz takes over the Military Zone, in the Wheels Zone is a mix of Rock n Roll, Doowop and Rockabilly and finally, taking centre stage in the middle of the Arena, is a covers band with something for everyone. Which legendary BBC motoring show has been broadcast from Dunsfold Aerodrome? To enter, email your answer to: competitions@aeroresource.co.uk with the subject ‘Dunsfold Competition’. Tickets start at £22 for Adults and £7 for children aged 5-15. Family tickets are £50 in advance and £60 on the day, with weekend family tickets available at £90. Only one entry per person, by email as above.